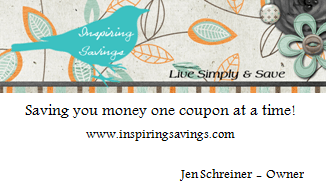 Inspiring Savings provides readers with daily coupons, online deals, freebies, and more! Empowering readers to take charge of their spending enabling them to live simply and save! Inspiring Savings – a money-saving blog that features the latest deals, frugal recipes, and most important, the “how to” strategies for saving more money. Hi, I am Jennifer. I am so excited that you found us. Beginning in 2011, I started this website after lots of encouragement from friends and family who wanted to learn how to coupon effectively and efficiently. I must have been doing something right. We needed to save money, but how could I contribute to my family’s income without taking on another job? After major renovations to our family’s home budget, some lifestyle changes and the addition of couponing I was able to reach my goal of becoming a full time stay at home mom. Funny how motherhood set in motion a whole different set of financial goals. Prior to becoming a “Super Saver” I have and will always be a Register Nurse, my trade. I earned my Bachelor’s Degree of Science in Nursing from Russell Sage College (In Troy, NY). I love caring for others and helping those in need. I am proud to say that I can continue to do just that through blogging. Couponing is just one of the many tools that will enhance your savings goals. Here at Inspiring Savings, we will show you how you can manage your grocery spending with less time and ease, all while saving money. Yes, you can cut your grocery bill in half and possibility more. We are not “extreme couponers”, we are “extreme savers or extreme givers”. Through my journey through life, I learned that this is not my family’s money, it is God’s. Yes, we have been given the responsibly and have been entrusted to spend what God has given us wisely. My heart is to help others learn how to better manage their finances God’s way and I want to join others on their journey to live faithfully by God’s word. If you are new to Inspiring Savings I encourage you to sign up for our daily newsletter. You can sign up by visiting our main page and adding your email to our “newsletter sign up” box. Join in on our community of savers and see the difference you make on your wallet (It will get lighter, believe me). I challenge you, to Live Simply & Save. Now you can gracelessly hand them our card and say with confidence, I found my deals on Inspiring Savings. Thank you for supporting Inspiring Savings by sharing our site with others. You can CLICK HERE to print a set of business cards to hand out on your next shopping adventure. I just had to post and say you totally saved me! I had never been to an Aldi before, and it was smooth trip thanks to your tips! So thank you very much! Your Very Welcome!!! I am so glad that I was able to help. We love Aldi’s and I JUST love your comment. Thank you for sharing!!! I just wanted to let you two know what a difference this website has made in my life. There are a ton of websites out there about saving and coupons, but this site remains my favorite. 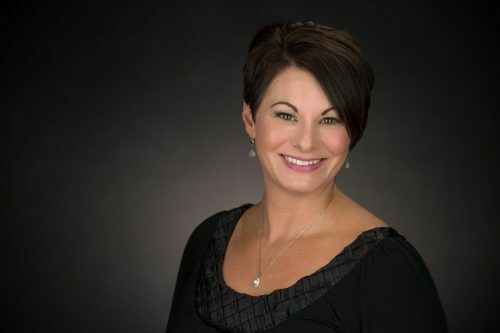 It is easy to navigate, dependable, and while it doesn’t encourage extreme couponing (a good thing in my book! ), it does help you find the cheapest way to get what you need!! Thank you so much for all that you do. Hi Jeana! Thank you for taking the time to let me know how you feel about Inspiring Savings. I am really touch. I try my very best to be a good resource for couponing. Thank you for making my day. I came to your website through the Hot Coupon World forum and feel very blessed to have found it. I can search through all of my area stores without wasting valuable time on deals that aren’t available locally. I used to subscribe to several other national deal blogs and found it time consuming. I feel as though you’ve just freed up some very precious time that I can use better elsewhere. Thank you! Karen, Melt my heart!!! Thank you and I am so glad to have you as a follower!!! I have been off work almost 6 months due to health reasons. I need help on finding the right coupons for the food we eat and for the beverages/coffees that we drink. The loss of almost $5K per month x 6 has been devastating to the budget. I have never used coupons until of lately. I need your help please and thank you for starting this up. I can not tell you how excited I am to find your blog! I was trying very hard to coupon a couple years ago but got frustrated because it seemed that everyone doing tutorials and match ups lived so far and the deals didn’t seem to work. But since you are in Troy and I’m in Cobleskill are your blog will new perfect. Thank you so much! I found my deals on Inspiring Savings.